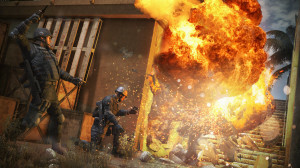 LOS ANGELES – June 9, 2015 – Free Reign Entertainment and Nacho Games today announced that development is well underway on Burstfire, a team-based multiplayer first-person shooter (FPS) that combines high-intensity close quarter combat action with methodical planning and tactical strategy. Built by former Adhesive Games team members that developed mech combat simulator HAWKEN, Burstfire calls for both level-headed deliberation and hair-trigger reflexes, and will be available this summer. Burstfire pits teams of 5 against each other in sudden-death combat as either attackers or defenders of an objective. 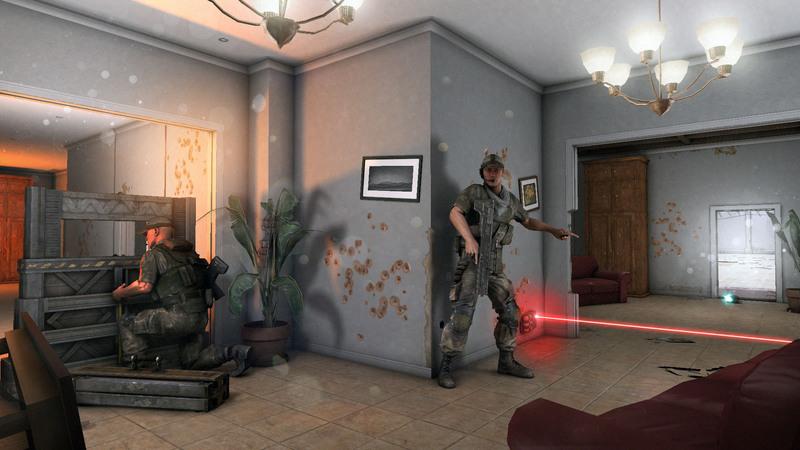 Before each round begins, defenders have the opportunity to establish defensive positions, fortify choke points, and lay traps, while the attacking team strategizes against the defenders’ preparations. After an initial tactical preparation phase, the bullets and bombs begin to fly, but tactical planning and teamwork are still key: Burstfire rewards careful movement and precise shooting rather than run-and-gun recklessness, and a losing your life on a risky maneuver can cripple your team’s capabilities. Eschewing the traditional model of rigid classes that fit pre-defined roles, Burstfire offers players free choice of dozens of weapons, tools, and pieces of tactical gear. In the near future, weapons can be further customized with attachments and cosmetic changes, letting players play to their strengths and completely customize their loadout to fit their playstyle. Following launch, Nacho Games will continue to support the title with new content, including entirely new maps and items, and the studio has chosen a “pay once, play forever” model as a show of dedication to their community. Players who seek to support the developers will ultimately be able to purchase gun skins and alternate character cosmetics, though these upgrades will be purely aesthetic – Burstfire will never be pay-to-win. The Burstfire team is headed by Dave Nguyen, a veteran in the PC gaming industry who co-founded and served as the design lead for HAWKEN. His experience developing HAWKEN, which won multiple awards including Polygon’s E3 Editor’s Choice Award and Destructoid’s Best of PC gaming, has strongly influenced Burstfire’s competitive multiplayer design and game balance. For more information about Burstfire or to sign up for alpha access, please visit http://burstfiregame.com/. Burstfire is a 5v5 competitive first-person shooter that rewards tactical thinking, intelligent combat and cohesive team play. While most modern shooters treat death as a minor inconvenience, Burstfire’s forces players to thoughtfully strategize by giving them only one life with which to achieve their goal of either seizing or defending their base of operations. Burstfire will be available on PC in Summer 2015. Founded in 2014, Nacho Games is an independent game studio based in Los Angeles. The team is composed of several former members of Adhesive Games, the studio behind online PvP mech combat simulator HAWKEN, and is led by Adhesive co-founder and lead game designer Dave Nguyen. Nacho Games is applying the lessons they learned building HAWKEN to their first game, Burstfire, a high-stakes tactical FPS that rewards careful planning over run-and-gun chaos. Founded in 2014 as a publishing arm of Arktos Entertainment Group, Free Reign is a PC games developer and publishing partner dedicated to creating immersive worlds and games heavily influenced by their community. The studio creates original IP, specializing in developing massive online games.